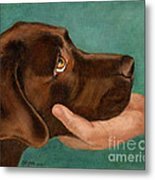 Chocolate Lab Head In Hand is a painting by Amy Reges which was uploaded on March 27th, 2012. Inspired by the image of a veterinarian taking a look at a chocolate Labrador, we know she would put her head in the hand of anyone who asks. 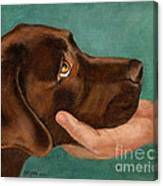 Labs have those loving eyes even if they are concerned. "Am I doing it right?" If you have a Lab, you know how they are. Original is acrylic on 8x10" canvas panel floated in a black walnut frame to a total size of 10.5 x 12.25 x 0.75". 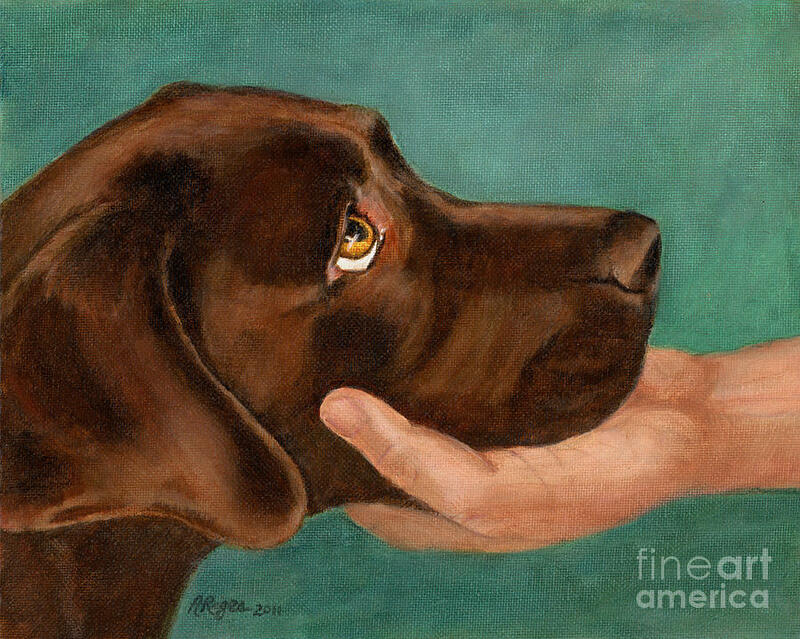 A simple stylized chocolate Lab painting by Amy Reges, OtterTail Lab Art. Thanks everyone! My first beach towels sold - that's fun!! Thanks to the buyer, hope you love them :-). Holy moly this is good! Congratulations! Thanks for your kind words. And thank you to my latest collector. This has been a popular print. You have done some fantastic work here. I love this. Congrats on your sale. Precious painting! Well done. Congratulations! Thank you! 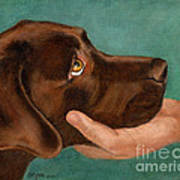 That's my 'brown dog". She's a good model. congrats! This is so sweet and well done. Wonderful and so sweet. Congratulations! Thank you :-). And many thanks to the buyer! So Sweet! Congratulations on your sale! Thank you all for your nice comments!! Labs can always get you with those eyes :-). So sweet, congrats on your sale!